'Direct Garden Buildings' is a major supplier of beautiful Log Cabin, Summerhouses, Garden Workshops, Sheds and much more. We manufacture unique hand made clay Urns and Planters - frost proof and with some very interesting finishes. 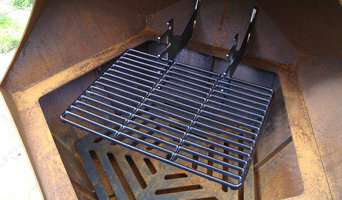 Wheelie Bin Storage Direct specialise in storage products for wheelie bins and recycle boxes, offering various solutions for all sizes and combinations. Using premium quality pressure treated redwood timber, each storage unit is designed to keep your garden tidy and bins out of sight. Free mainland UK delivery on all orders. Marco A Schrang Garden Design Ltd.
We offer a highly individual and flexible design process with a wide variety of services from conceptual sketches, garden development and consultation to full design service and full implementation. We're the UK's leading distributor of marquees and gazebos specialising in giving our customers the freedom to enjoy the outdoors regardless of the weather. Brimatec Limited is a Lawn Mowing Robotic Solution Provider since 2015. We have the expertise to advice and suggest the best possible fit based on the lawn mowing requirements, difficulties and challenges one can or have been facing. We have been promoting technology solutions to make sure that one does not have to worry any more about their lawns being not handled with care. Its the time of technology and digitization and one has to move with latest market trends to bring up to speed on automatic lawn mowing capabilities. Regular and daily maintenance of lawns is time consuming, becoming expensive and manual or semi-manual driven effort. Thus, people who loves nature and love to spend time with their family, friends, relatives and collegues during weekends, they now do not have to think on how to outsource lawn maintenance at no cost forever. What garden supplies can I get from Leeds, West Yorkshire garden centres and landscaping retailers? If you’re going for a complete overhaul of your garden, then you’ll probably need soil, turf, large plants, trees, decking or patio materials to make a start. 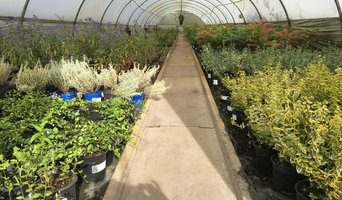 Wholesale garden suppliers in Leeds, West Yorkshire will be your best option for all the basic garden supplies, so get in touch with them to discuss your needs. Once you have the foundations of your garden sorted, then the adorning and decorating can start, which is where Leeds, West Yorkshire garden centres will become your new favourite haunt. From seeds, small plants, garden ornaments and plant pots to the bigger structures such as pergolas, greenhouses, garden furniture, water features and planters, garden centres will offer a wonderful range of garden supplies and accessories to help you lade your garden with lovelies. 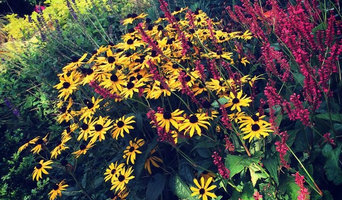 Find specialistLeeds, West Yorkshire garden suppliers if you’d like more uncommon garden features, like fire pits, garden sculptures, raised flower beds or special garden lighting. You can even find vintage garden accessories from some retailers if you want the shabby chic, eclectic garden look. 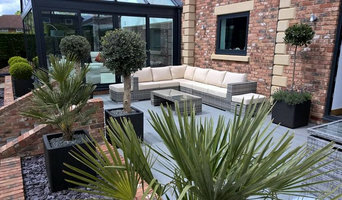 Garden suppliers and landscape supply professionals in Leeds, West Yorkshire will be able to offer advice on the suitability of certain products for your garden design and possibly assist with the installation and maintenance of your garden supplies and features. You may wish to involve a garden contractor or landscaper in your garden supply choices, as they will also have a clear idea of what materials and items are best. They may also be able to recommend Leeds, West Yorkshire garden centres in your area that they have worked with before. Here are some related professionals and vendors to complement the work of garden & landscape supplies: Landscape Contractors, Main Contractors, Landscape Architects & Garden Designers. Find landscape and garden supplies on Houzz. Search the Houzz Professionals section for Leeds, West Yorkshire garden centres and garden suppliers. Browse photos and read reviews. You can also explore full-service Leeds, West Yorkshire landscape architects and garden contractors.